Well don't you just love a quick wedding highlights blog post, sharing a few images that sum up an epic wedding story. Yesterdays liverpool wedding was pretty damn special. 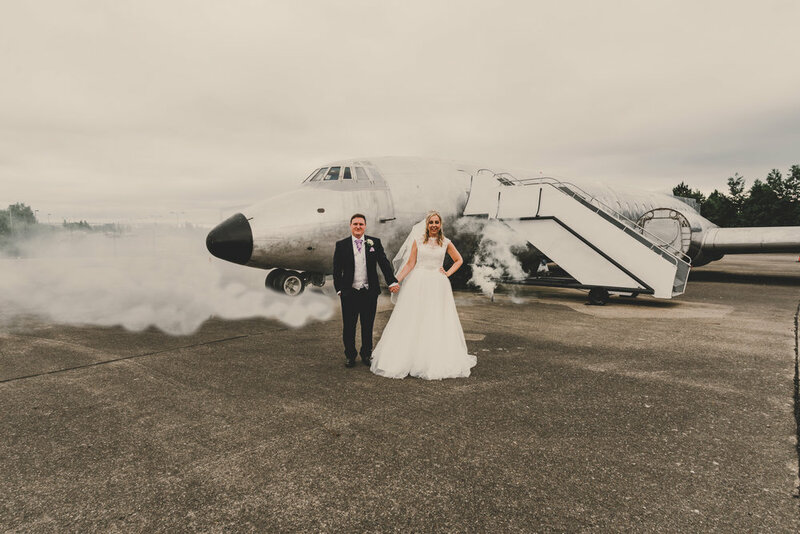 Two of the nicest, sweetest people ever tied the knot, in a dreamy romantic church ceremony followed by a reception in a pretty funky art deco hotel, which wait for it.... used to actually be the old Liverpool airport terminal and runway between the early 30's closing in 1986. I was showing my grandad and my mum these highlights today, the reason being, they are all born and bread scousers, my grandad and my mum immediately started telling stories of some of their holidays from this exact airport. It was so lovely to hear! So - what you may not know about me, is that i'm a bit of a plane geek. I would give my right arm to be a commercial airline pilot following a few lessons which started as a present off my husband on the day he was supposed to propose to me (that's a story for another day) so when i arrived at this venue and saw what was lurking outside, oh my... i was doing a secret little excited dance, old planes EVERYWHERE... yesssssss! I was seriously so sure i was going to get inside the old control tower and spent a lot of time instead of taking a refreshment break during the wedding breakfast on the roof and begging for keys as i knew they would have made the most epic photo's ever, unfortunately it wasn't a success. damn it!!! Complete with of the best bridal parties ever, the sweetest families, the most hilarious grandad, it was safe to say that this wedding was a true dream to document. I'm not going to talk too much about these babes for now, as i want to save that for the big blog post, so for now... have any amazing honeymoon. i'm not at all jealous!